In May 2015, The Set Ensemble performed two new pieces created through collaboration between scientists and composers. James Saunders worked with chemical engineers Mirella Di Lorenzo and Jon Chouler from University of Bath to explore the processes found in microbial fuel cells. Dominic Lash collaborated with bioeochemist Kate Hendry from University of Bristol to make a piece that engages with palaeoclimate methodology, which uses indirect chemical records to understand the links between past oceans and climate. The event, which took place at St George’s, Bristol, included performances of both pieces, prefaced by a short talk by each of the scientists. A live recording of Dominic Lash’s Preferential uptake is available here. For more information visit the Lab Notes website. Jon Chouler graduated from the University of Bath with an MEng in Chemical Engineering, which included a 6 month overseas research project at the University of Canterbury, New Zealand, and a year-long placement working for Procter and Gamble in process improvements for dish homecare manufacturing. Outside of work Jon enjoys cycle touring, brewing beer/wine and playing guitar. Kate Hendry: After finishing my undergraduate degree at Cambridge University, I carried out a PhD in Antarctic biogeochemistry at Oxford University. I worked for 18 months at Oxford after completing my thesis as a researcher, before moving to Woods Hole Oceanographic Institution in the US for over two years to work on marine chemistry and geochemistry. I then moved back to the UK, initially at Cardiff University, then as a Royal Society University Research Fellow at the University of Bristol. 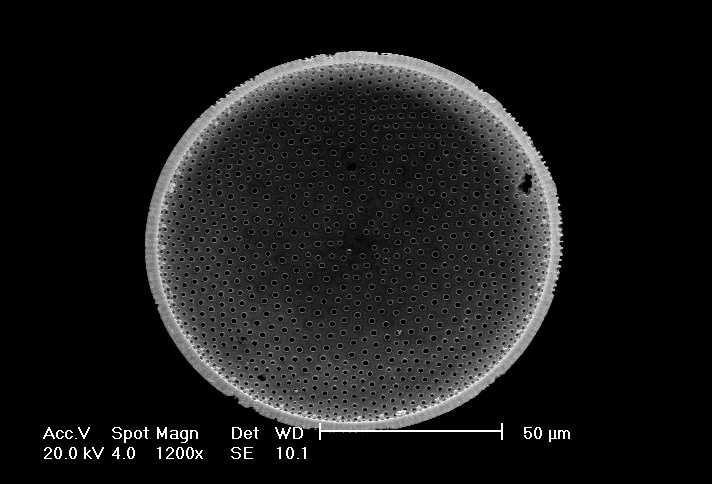 I study how changes in ocean chemistry impacts marine life, including the algae. As well as carrying out research into modern seawater, I also use the chemistry of deep-sea sediments as an archive for past changes in marine chemistry in order to help us understand the role played by oceans in climate change. In understanding how the oceans have changed in the past and how they relate to climate, we can better predict what might happen in the future. More information about Kate’s research can be found at her University of Bristol page, as well as the Southern Ocean Sponges and Oceanbarium project websites. Dominic Lash is a freely improvising double bassist, although his activities also range much more widely and include playing bass guitar and other instruments; both writing and performing composed music; and writing about music and various other subjects. He has performed with musicians such as Tony Conrad (in duo and quartet formations), Joe Morris(trio and quartet), Evan Parker (duo, quartet and large ensemble) and the late Steve Reid. His main projects include The Dominic Lash Quartet, The Set Ensemble(an experimental music group focused on the work of the Wandelweiser collective) and The Convergence Quartet. James Saunders is a composer who makes modular compositions and series. His music has been played at numerous international festivals, including Bludenz Tage fur Zeitgenossiche Musik, Brighton Festival, BMIC Cutting Edge, Darmstadt, Donaueschingen, Gothenburg Arts Sounds, Huddersfield Contemporary Music Festival, Inventionen Berlin, The Kitchen, Music We’d Like to Hear, Ostrava New Music Days, Rational Rec, Roaring Hooves, Ultima, and Wittener Tage fur Neue Kammermusik. It has been broadcast on BBC Radio 3 and Resonance FM (UK), WDR3, BR Klassik and SWR2 (Germany), and national radio in Czech Republic, Norway, Italy, New Zealand, and Sweden. In 2003 and 2007 he held residencies at the Experimental Studio fur Akustiche Kunst in Freiburg. James has worked with Apartment House, Arditti Quartet, asamisimasa, Sebastian Berweck, ensemble chronophonie, duo Contour, Rhodri Davies, EXAUDI, Nicolas Hodges, London Sinfonietta, Ensemble Modern, Neue Vocalsolisten, plus minus ensemble, Psappha, ensemble recherche, SUONO MOBILE, SWR Sinfonieorchester Baden-Baden und Freiburg, and 175 East. As a performer he plays in the duo Parkinson Saunders with composer Tim Parkinson, Apartment House, and has also performed with Alvin Lucier, Christian Wolff and Phill Niblock.